News Americas, QUEENS, NY, Mon. Mar. 13, 2017: The life of Helen M. Marshall, 87, the Guyanese-American, former Queens Borough President, who passed away on March 4, 2017 at her home in Palm Desert, California, will be celebrated in NYC this Sunday in NYC. A ‘Celebration of the Life’ of Marshall, whose father Gerald Cyril Sergent and mother, Audrey Sergent, nee Mckenzie were born and grew up in the then British Guiana, will be held on Sunday, March 19, 2017 from 3 p.m. at the Helen Marshall Cultural Center, Queens Borough Hall, 120-55 Queens Blvd., Kew Gardens, NY 11424. Parking and rear entrance admission to the Atrium will be available and those interested in attended can RSVP to: rsvp@queenbp.org by Wednesday, March 15, 2017. Marshall’s father was an experienced merchant seaman, travelled extensively and had mastered seven languages. He migrated to the United States more than 80 years ago with his family. Marshall was born on September 30, 1929 in the Bronx, New York City. She went on to graduate with a B.A. in education from CUNY Queens College and was a teacher for eight years. In 1969, she left teaching to become the first director of the Langston Hughes Library in Queens. She later became a Democratic member of the New York State Assembly for eight years and a member of the New York City Council for ten. 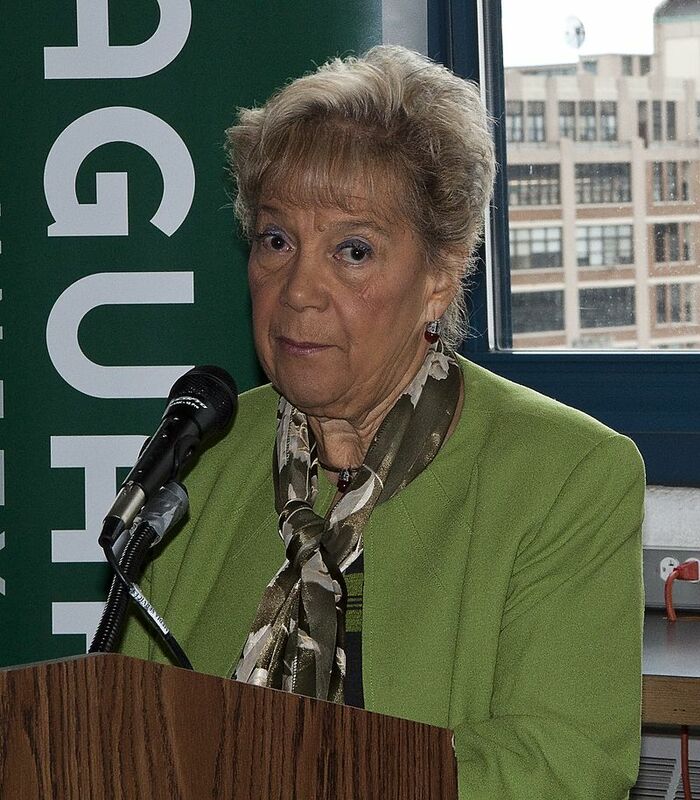 She made history in November 2001 by succeeding the term-limited Claire Shulman to become elected as the first black Borough President of Queens and the first Guyanese American. 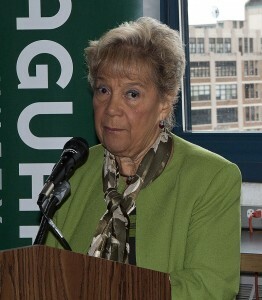 As Borough President, Marshall made marketing Queens as a tourist destination one of her priorities. In 2005, she won a second term, defeating her Republican/Conservative challenger Philip T. Sica with 75 percent of the vote to his 25 percent. Marshall was inaugurated to her second term as President of the Borough of Queens on January 3, 2006 in a ceremony held at Terrace on the Park in Flushing Meadows Corona Park. In November 2009, she was re-elected to a third and final term which concluded in 2013. Marshall was married to Donald Marshall who preceded her in death. The couple is survived by two children: Donald Jr. and Agnes Marie.